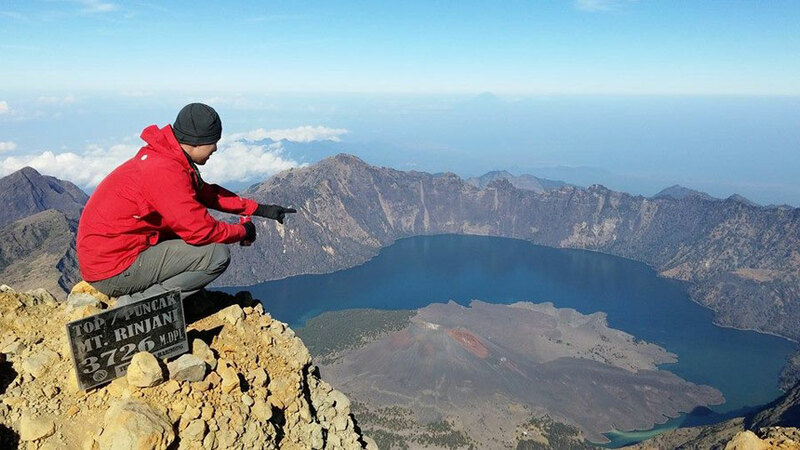 Trekking Mount Rinjani is the site of a company specialized in organizing your visit or adventure on Mount Rinjani Island Lombok Indonesia. We are PT. Sasak Lombok Tour & Travel Agent Company is one of our tour operator who was the first official in Lombok island which has been established since 1986. Our company has been registered in the tourism agency of West Nusa Tenggara Province as the official travel agent (legal) with the updated license Kep. 47/BPU/V/92. 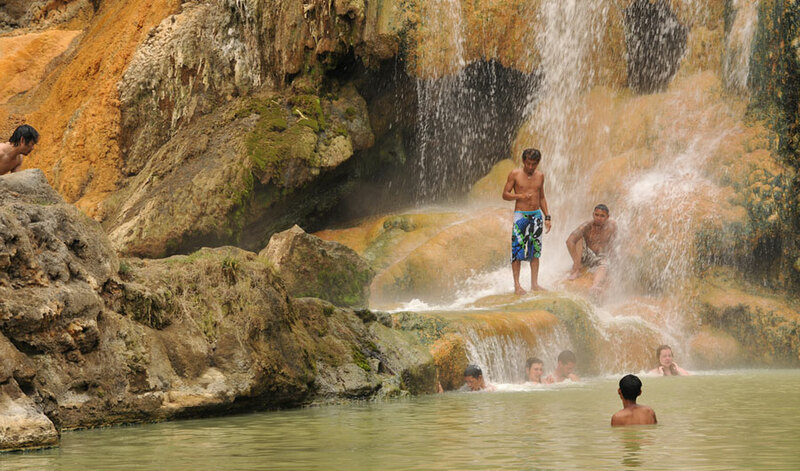 Realize that each person visiting a new place requires information about a very interesting tourist attractions, then our website has been created to give you all the information about Lombok island which includes tourist information and hotels on the island of Lombok. 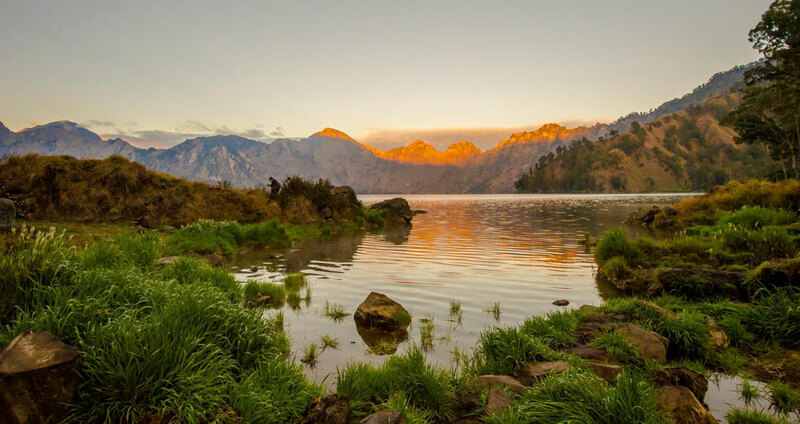 If you feel that the content of our website https://trekking-rinjani.com but this is not yet complete, you can provide advice and input to complement the content of tourism and hotels on the island of Lombok. And we hope the information on our website is of benefit to all and maybe also can be your travel guide in Lombok Island. We also expect the value of the whole readership to enrich the content of our website. 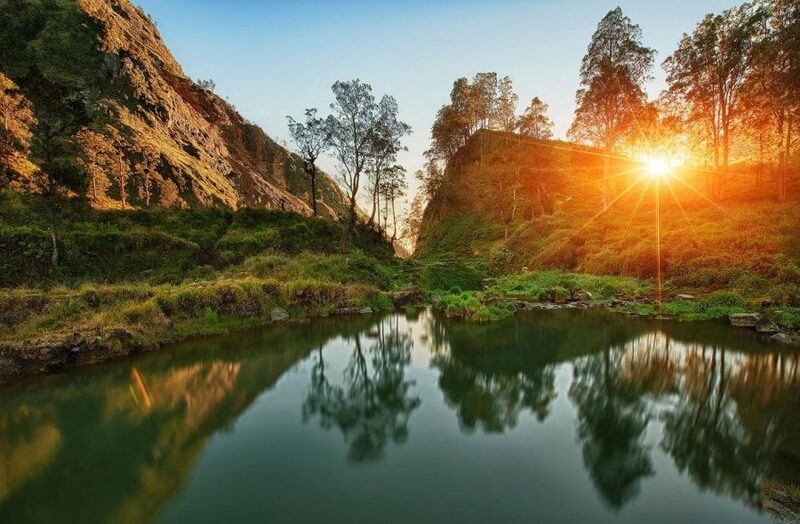 For those of you who are still confused though determine your destination during the holidays on the island of Lombok and the budget that you need, we are ready to help you with information that is as complete as-details. Through the services we offer that package tour, hiking package, cultural tours and marine tourism, up to a daily tour packages you can pick up the references and choose the packages to suit your budget. Not only that, you can define your own destinations and we will assist in the preparation of the itinerary to be efficient on your time and your holiday trip to be very effective and fun. 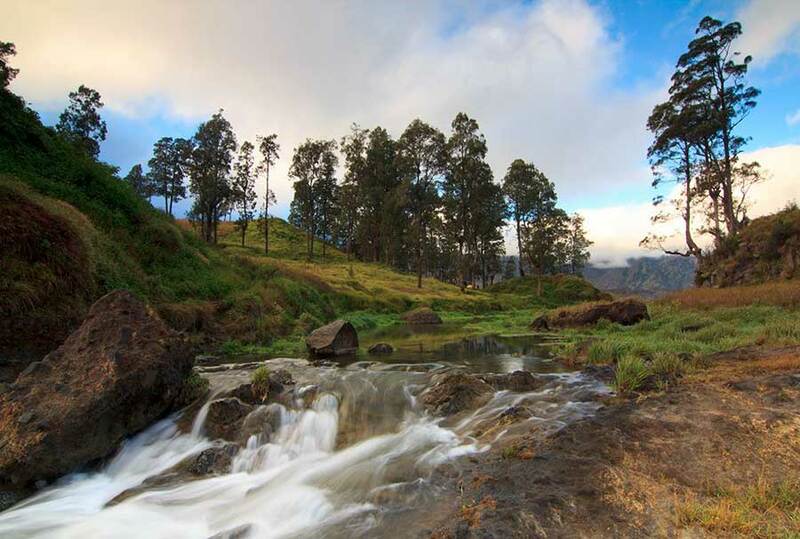 For Book and Reservation to our email at info@trekkingrinjani.com please do not hesitate to contact us! Our experienced team will help you to discuss your itinerary and discussing a variety of destinations in this Lombok Island Indonesia. Please do not hesitate to contact us to inquire about tour packages we offer, even if there are destinations that you don’t find on the pages of this website, we will help you to arrange your own travel plans. We are here ready to help you! 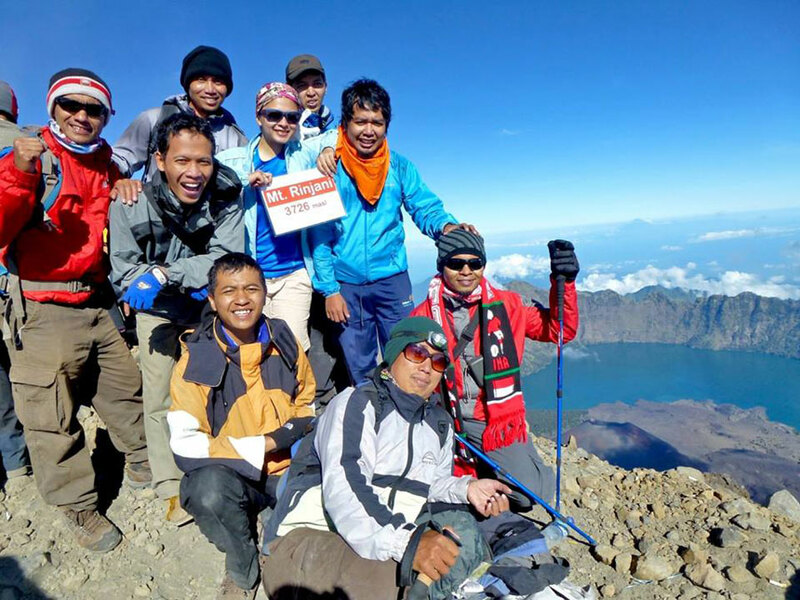 We are the adventure masters at Mount Rinjani. 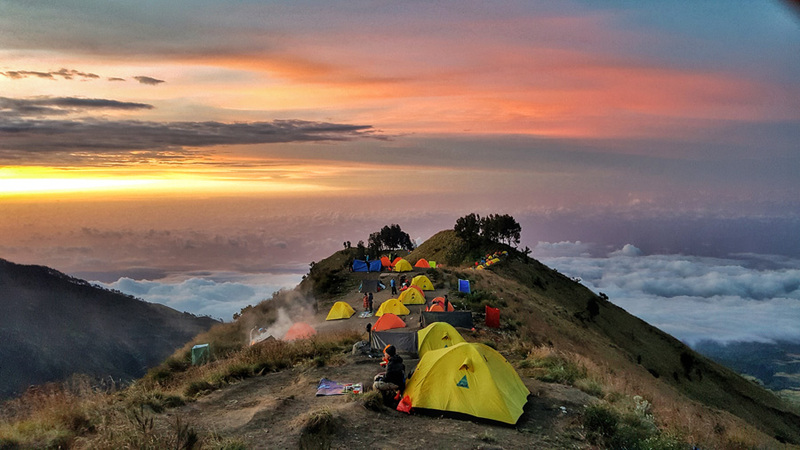 We have an office domiciled in Mataram city of Lombok, where we organize and carry out different climbing packages on Mount Rinjani. 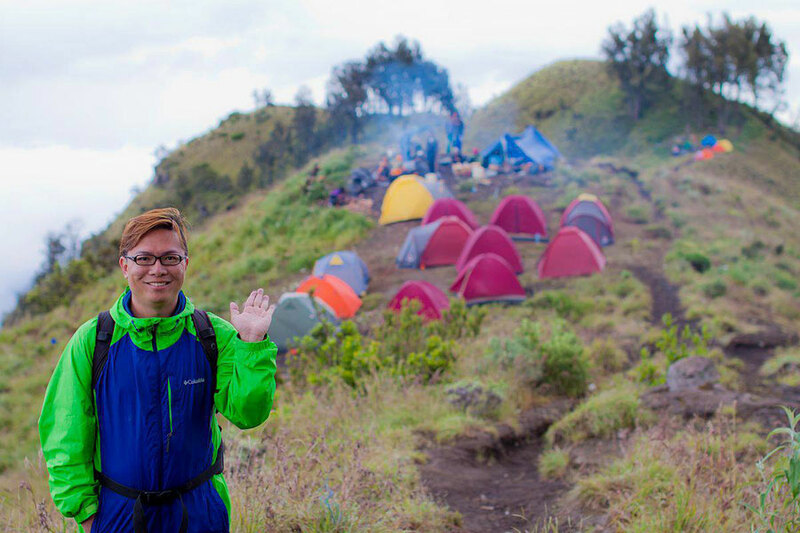 We have a young local guide of the community of Sembalun Lawang who is experienced in climbing and can speak English and we ourselves have many years experience in Mount Rinjani. We offer a very special service for you, interesting and affordable. 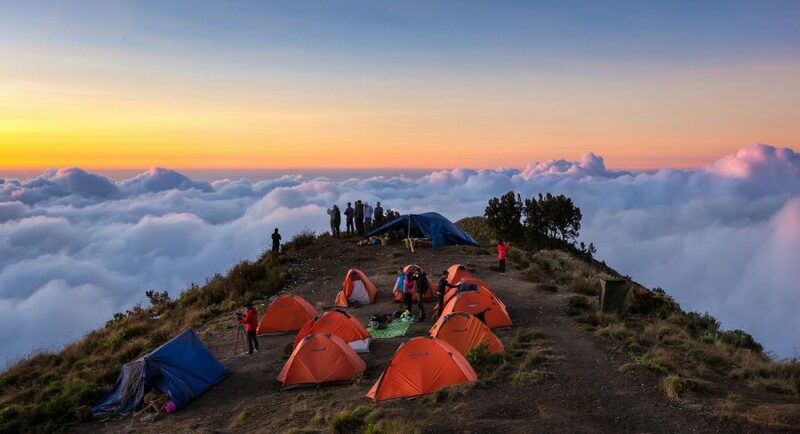 The experience of climbing to the summit of Mount Rinjani today is one of the most exciting and memorable activities that you can do to get closer to nature in Lombok. Unforgettable sensation to enjoy and express with a group of friends, family or with your spouse. All our activities are monitored especially to monitor and guarantee the comfort of climbing with all packages we offer. 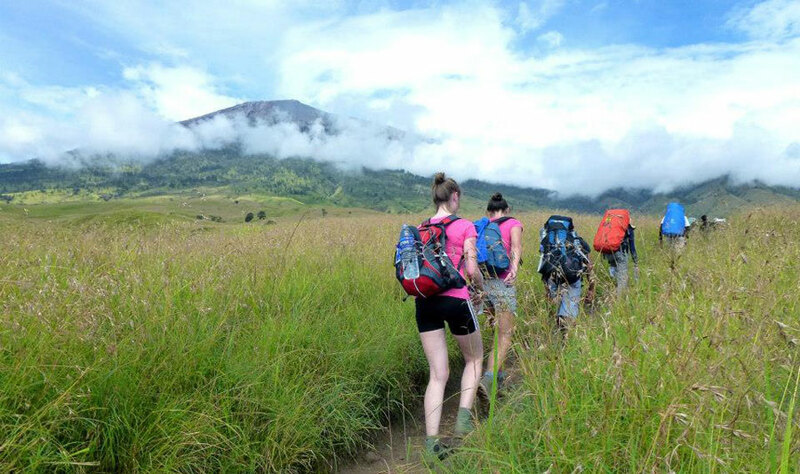 To make an adventure on Mount Rinjani, you do not need to have any special knowledge about the climbing terrain but the most important is the level of fitness and physical strength (except for advanced levels), because we have experienced guides to assist you. 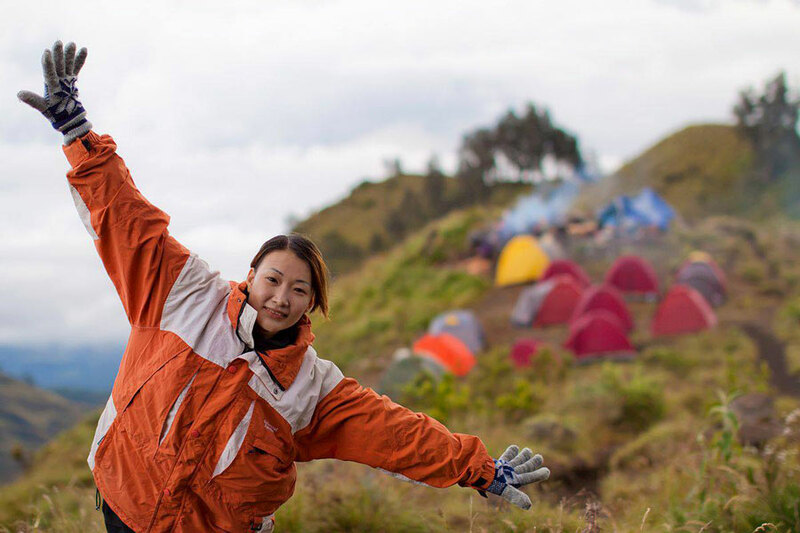 This adventure is designed not only for people who are experienced in climbing but also for people who have never done the climb before and also have no special preparation it is still possible for you to enjoy an adventure that is memorable for everyone. We have an extensive customer base, both at the individual, group, organization and enterprise level. This diversity motivates our corporate culture of focusing on customers and their needs. 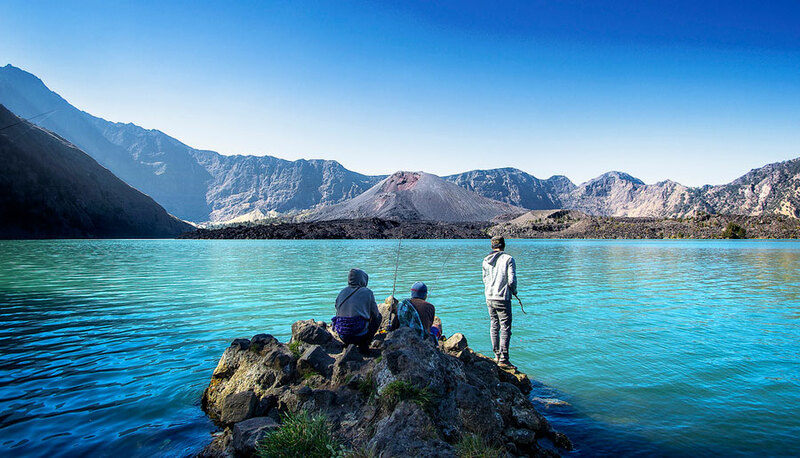 What do we offer you at Mount Rinjani? We arranged various types of routes to climb Mount Rinjani with different durations of time and difficulty allowing anyone to visit Segara Anak Lake, Hot water baths, Plawangan Sembalun, Plawangan Senaru, Mount Rinjani Peak 3,726 mdpl, views of Mount Barujari and all the beautiful mountaineering such as sunrise and sunset, views to all areas of Lombok Island, Mount Agung and Mount Batur in Bali, Mount Tambora in Sumbawa and a stretch of small islands in the east. 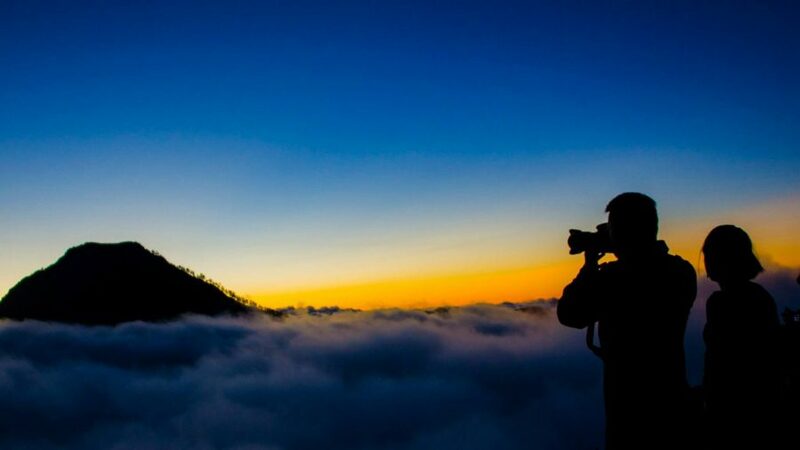 You can see more details of each of the climbing packages we offer on the trekking package menu. The food is tailored to your needs, whether you are vegetarian, or if you have allergies or intolerance to any substance. You can inform us and we will prepare suitable food and meet your needs. 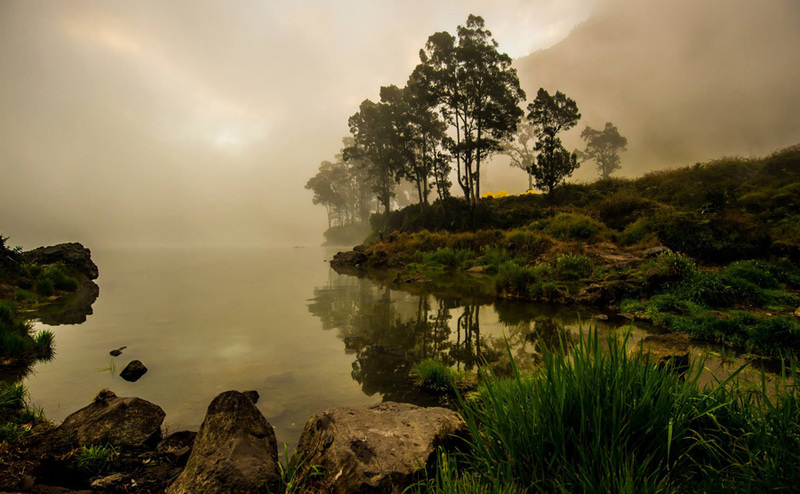 We can make your visit to Mount Rinjani something personal and special to you. Tell us what you want to do on your visit and we will try to make it happen. We can arrange special moments for you with your spouse, birthday celebrations, weddings, party / surprise events for your friends or anything you want to make or do and maybe to do without damaging the environment and in accordance with applicable regulations.